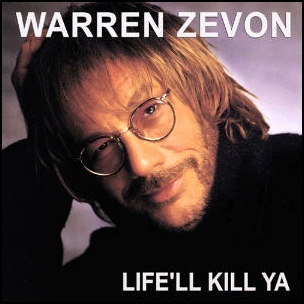 On January 25, 2000, “Artemis Records” released “Life’ll Kill Ya”, the tenth Warren Zevon studio album. It was recorded in 1999, and was produced by Paul Q. Kolderie and Sean Slade. All tracks by Warren Zevon, except where noted. Previous PostOn January 25, 1989.Next PostOn January 25, 2005.